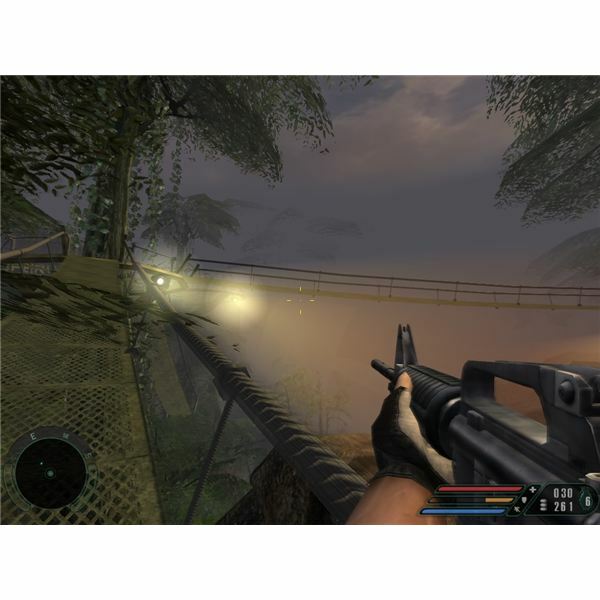 Far Cry was released in 2004 and touted as one of the first FPS games to take full advantage of the next generation of PC hardware. Developed by Crytek the main selling point was the incredible visuals and the distance that could be rendered on each of the massive jungle island environments. Taking the role of Jack Carver, a stranded ex-Special Forces nutcase the player had to battle mercenaries and then strange mutant monkeys in order to unravel the mystery of the island. This was undoubtedly an attractive game but the game-play offered no advancement of standard FPS conventions and the story line was a poor pastiche ripped off from various sources. The lengthy campaign and above average AI made it an enjoyable single player game but hardly deserving of the hype it received. The early game-play is probably the most engaging and as you advance through the jungle you run across several small groups of mercenaries up to no good. You can opt for a stealth approach or just wade in all guns blazing and the enemy AI will react accordingly. In fact the developers touted the AI as incredibly intelligent and they are capable of taking cover, calling for reinforcements and patrolling through the map in search of you. Most of the hiding and flanking behaviour is actually scripted and despite claims it tends to play out more or less the same way each time. The level design is fairly good and they have gone to pains to hide the fact that this game is just as linear as any other. The incredible draw distances are initially impressive although the amazement at being able to see the boat you landed in back on the beach from the top of the mountain soon wears off. As you progress it pays to scan the area ahead and mark your opponents; you will often find preset traps like the ubiquitous exploding barrels which can be used to despatch your targets with ease. There are also several vehicles which you can commandeer and they handle reasonably well for a FPS game, although it is somehow more enjoyable to walk through the jungle and stalk your prey stealthily. 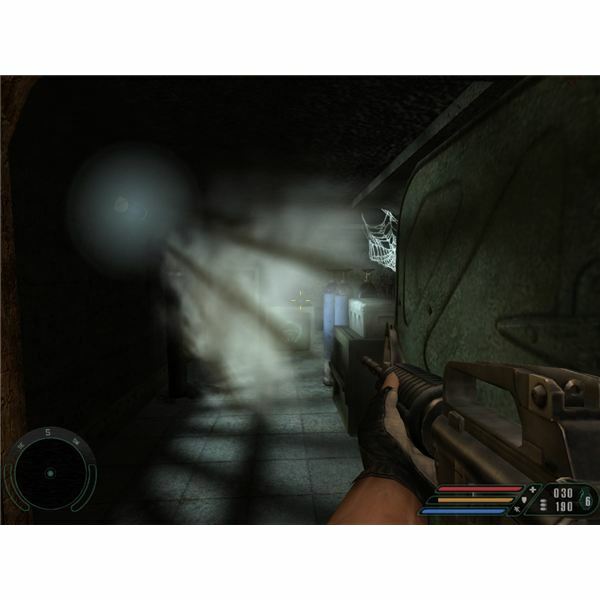 The game features a typical FPS weapon set with sniper rifles, rocket launchers and assault rifles although it limits you to four guns at a time. There’s a checkpoint system as you progress and the game offers an impressive twenty hours of game-play in all but when you reach the mutant monkeys things get somewhat daft, and because they are less tactically aware than the mercenaries they are no fun to battle. While some people loved the storyline personally I didn’t. This is where the game really shines, by using a number of specially developed shaders and some excellent vegetation the environments are beautiful and the draw distance is initially massively impressive. The level loads seamlessly as you progress and the scale is truly awe inspiring. The character models are also very good and well animated and there are several physics based objects in the environment that you can play around with. Characters will also ragdoll on death, something which is now fairly standard. The weak point for me was the design of the daft mutant creatures but all in all there is no denying that this is a beautiful game to behold. The developers were obviously so intent on developing a memorable single player game that they forgot about multiplayer altogether. The modes on offer here are Deathmatch, Team Deathmatch and Assault. None of them are particularly well designed and the maps do not lend themselves to multiplayer action. In short do not buy this game for the multiplayer mode or you’ll be very disappointed. As the visuals improve so the demands on your PC increase. To run this game you’ll need an absolute minimum of a 1.8 GHz CPU, 512 MB RAM, DirectX 9c compatible sound and 64MB graphics card in addition to a hefty 4GB of hard drive space. This ran like a dog when I first played on it on a minimum spec machine so I suggest you go for something beefier if you want the full impact. 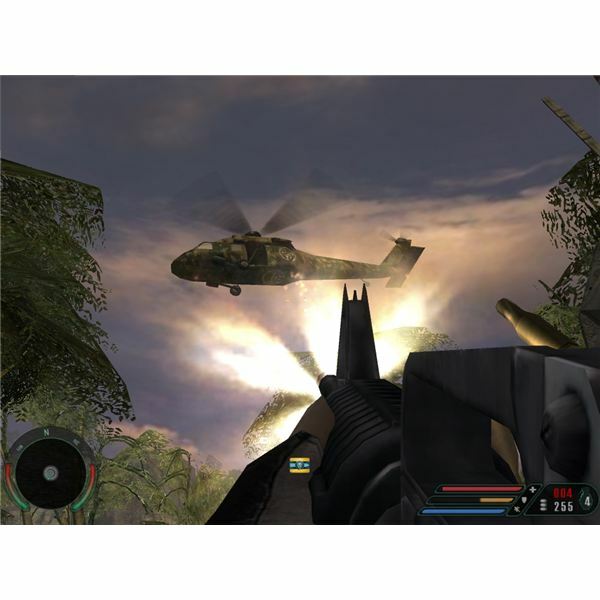 Far Cry was hugely hyped when it was released and it proved to be a big commercial success. While it is impressive from a visual standpoint the AI was not as clever as they made out and the levels were unbalanced and increasingly frustrating as you progressed. As previously mentioned the game falls apart a bit when they bizarrely introduce the super strong mutant monkeys and for me they ruined what was quite an immersive and enjoyable game up that point. The story and characters were cheesy with bad voiceover acting and this game simply wasn’t worthy of the vast praise it received. It may have been visually beautiful and it was certainly the best looking FPS available on release but the game-play offered nothing new.